Dmitry Kazakov ( read the bug-tracker topic about it for more infos ) for Krita 2.7pre-alpha development. The feature , actually in a development branch, is getting fantastic and excellent. The default pattern shipped with Krita also need for a little refresh and love, and that's a part I can handle. It was made from resources I drew personally or made with my camera and scanner , or for few other ones built on the top of other CC-0 ressources ; Wikimedia Commons documents and a little of MrMamurk famous Mypaint background, or Ramon Miranda CC-0 textures for GPS and Mypaint. The dynamic screentones are inspired of the one shipped with Gimp-painter 2.6 of Sygetch. Removed duplicate : my original set contained more than 50. Similar effect or neighbours were removed. *.png compressed, easy to manage on file explorer , with thumbnails and cross compatible. prefix of filename 'deevad_' for organisation, and easy removal if needed. I haven't started playing with textures yet, this will be a nice opportunity. Thank for that nice gift! J'attends Krita 2.7 alpha avec impatience afin de tester tout ça. so... how to install that? 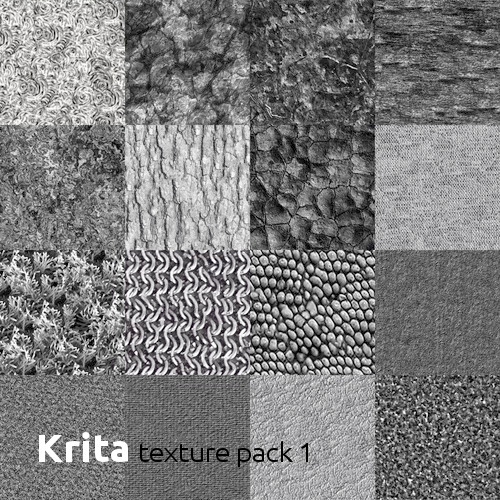 @Bjorn : hi, you don't need to install it now ; just go the pattern in Krita directly and they are all already installed ; the Krita team bundle my texture with every Krita since version 2.7 and above. You are Amazing David! Thank you for sharing these. Do these textures & brushes work with photoshop & other softwares? @Jazyl Homavazir : Thank you ! Compatibility depends. On my side I use open format ; very commons as JPG, PNG, etc... So , textures will work anywhere for sure. Brushes is another problem , each software pass the data in it's own way. Probably not possible to use them in other software than the one they were designed for. Super!, merci pour ces textures, j'attends d'avoir l'occasion de m'en servire, ma palette graphique est sous commande. Vos réalisations sont superbes! So how do I install this? I am using Krita 2.9.10? @Corey Bruce : You don't need to install the pack in Krita ; just go in the patterns in Krita and they are all already installed by default ; the Krita team bundle my texture with every Krita since version 2.7 and above. I'll try to add this info on the article. Thanks to share your talent with us. I am totally new to Krita software. Can anyone share with me how to get the pre loaded textures (not the pre-defined stamp brushes) to work on my canvas? I click on the pattern icon up on the toolbar at the top...I choose a pattern, but I don't know how to apply it to my canvas. I am using a laptop with a mouse and don't have any kind of drawing tablet. Any help will be appreciated. Thanks. Yes, the top toolbar socket is used only for the fill-tool. It is a known ergonomy issue but hard to resolve. 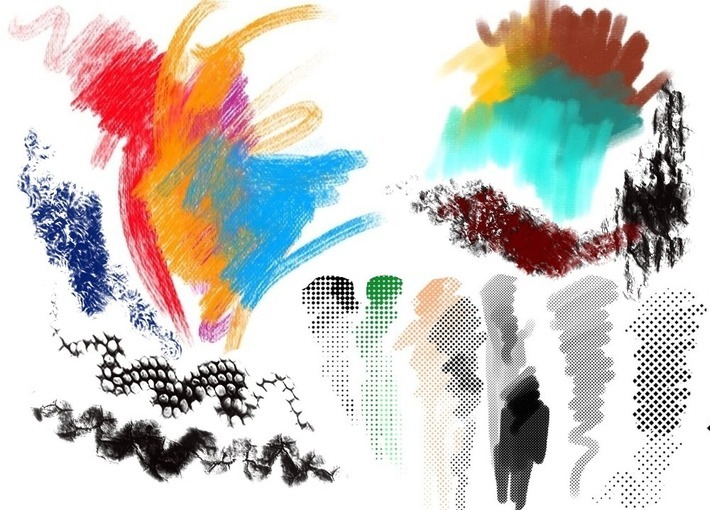 For using texture with the brushes, it is the "texture option" in the brush editor.